Do you have torsion spring garage door problems in Vancouver, British Columbia? Don’t take chances with your safety. Trust all torsion spring services to our local team. We repair, adjust, replace and install torsion springs by any brand and help customers in timely fashion. At Payless Garage Doors Vancouver, we specialize in residential systems and have expertise in spring services. Count on the fast time of our response and experience in spring installation, replacement and adjustment services. 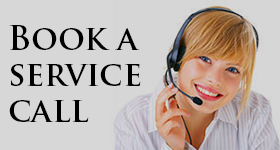 We provide emergency spring repairs in Vancouver and assist you with all related concerns. Despite the differentiations among brands found in British Columbia, springs are installed to do the same job. That is to open and close the door, and also to keep it open at any height. With our torsion spring adjustment service, we make sure the spring is enough tensed to do this job but not too tensed to lift the door from its closing position. We are trained to provide spring services, which also include the installation of a second torsion spring, fast broken spring replacement and consultation on which spring to get when you get a new door. Vancouver garage door torsion spring systems are taken care of in timely fashion by our company. Trust broken garage door torsion spring replacement to our Vancouver team! Thanks to our experience we can easily estimate which spring is required for your door. Let us assist! Broken torsion springs are replaced as soon as possible and our company can supply you with new replacement parts. When new springs are installed, our technicians make sure the door is balanced. When there are problems, we help quickly. Our professionals recommend replacing your garage door torsion spring in Vancouver before it breaks. This way, you will avoid possible injuries. Whether broken or not, springs can be changed by our team fast. You can rely on us to fix garage door torsion spring problems, make the adjustments and ensure the safety of your family. 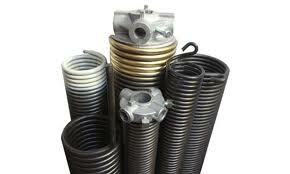 Never hesitate to contact us if you want torsion spring repairs.